A Dublin builder, described in court Monday as a charlatan, has been ordered by a judge to repay a Castleknock housewife €60,000 for sub-standard work he carried out on her kitchen and utility room. “There has been a complete absence of any professional capacity on the part of this builder,” Judge Terence O’Sullivan said in the Circuit Civil Court. Barrister Carla Murphy, counsel for housewife Margaret Fagan, of Brompton Lawn, Castleknock, Dublin 15, said her client would have to pay for the repair or replacement of the work builder Christy Walsh had carried out for her. Ms Murphy, who appeared with Molloy Murphy Solicitors, told the court that Walsh, of Briarwood Lawn, Mulhuddart, Dublin 15, had failed to appear in court to answer the breach of contract claim against him. The court heard that Walsh had failed to turn up in court on a number of previous occasions about which he had been informed. 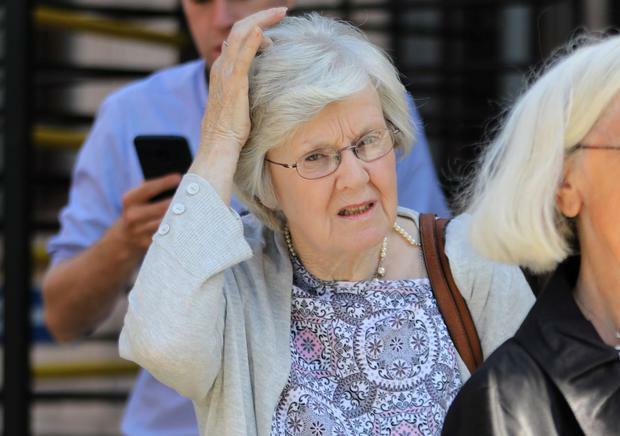 Ms Fagan said she had entered a written contract with Walsh in 2007 for more than €60,000 to carry out building works to her kitchen and utility room. She said the work was never fully completed and as a result of poor workmanship she had been advised she would have to have it all re-done. Civil engineer Tony Reale, said that in December 2008 he had inspected the work carried out by Walsh to the roof, walls and floors of the build. He had found rotten timber in the rafters of the roof which had been constructed on a pitch level below what would be considered watertight or safe. He said the low pitch level of the roof would result in a blow-back of rain under the slates, creating leaks. He said he had found that window flashings would also have been inoperative as regards keeping out rain. Mr Reale said the general plastering work on the walls had been very poor, describing it as being “a very amateurish job.” Flagstones had been of the wrong specification. Mr Reale told Ms Murphy that such re-construction work would cost in the region of five times the original €60,000-plus that Ms Fagan had spent on the project. Judge O’Sullivan said Ms Fagan had taken the not unusual road of having spoken to people the builder had done work for before and unfortunately she had not been given good advice. Judge O’Sullivan said Ms Fagan had behaved reasonably and had been taken complete advantage of by Walsh. “The work was dangerously sub-standard and will have to be taken down. It was haphazard and slapdash as described by Mr Reale and this unfortunate lady is now in a situation where she has to re-do the work,” Judge O’Sullivan said.